One of the more distinctive voices among a new breed of Hammond B3 organ players on the jazz scene, Sam Yahel has earned the top spot in Down Beat's annual International Critics Poll as a Talent Deserving Of Recognition for the past four consecutive years. Since moving to New York in 1990, Yahel has worked with a string of notable jazz artists including tenor saxophonists Joshua Redman and Eric Alexander, former James Brown sideman and alto sax great Maceo Parker, guitarists Peter Bernstein and Bill Frisell, trumpeters Ryan Kisor and Jim Rotondi as well as having played on Norah Jones' Grammy-winning Come Away With Me as well as on recordings vocalists Lizz Wright and Madeleine Peyroux. But it has been as a solo artist in his own right that Yahel has made his most personal statements as both composer and player. Originally a pianist, Yahel had his organ epiphany back in 1990 while studying jazz at the New School. As he recalls: "A friend of mine needed to rent an organ for an upcoming gig and he invited me to come down to SIR studios to tag along while he picked one out. Up to that point I had never even seen a real Hammond. So I went over there and we got into the room where they had a B3 set up, and it just immediately hit me. Before my friend had even played a note I was completely captivated by this thing. It was mammoth and made out of this beautiful wood, the Leslie speaker was humming and the motor was spinning and the horn inside the Leslie was rotating slowly. And when once I actually heard it, my first thought was 'I have to have one of these.'" Within a month of that initial encounter with the hulking Hammond B3, Yahel had bought his first organ, a portable variety, and shortly after began playing gigs with it. Since then Yahel has been able to scope out his own direction on the instrument. 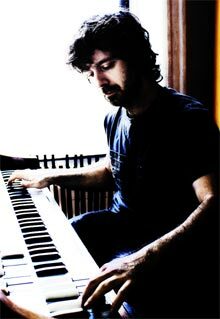 Yahel's approach to the organ is distinctive in that it is not rooted in the greasy B3 tradition of pioneering players like Jimmy Smith, Jimmy McGriff and Jack McDuff. "A lot of the B3 history comes from the church, so there is an exuberance there and a kind of praising element there, which is a wonderful part of the tradition of the B3. And that's definitely a part of what I do but I wouldn't say that it's the overall defining characteristic of what I do. I find that the B3 is capable of enormous subtlety and traditionally it's not really been used in that way all the time. But I tend to lean towards that more subtle approach in my own playing." Click on the logo to see Sam's tour dates.